Jon and I celebrated our six month-iversary this past Friday! We had dinner at Stateside, a small plate restaurant that was named one of the top 50 restaurants in Philadelphia. Very tasty! 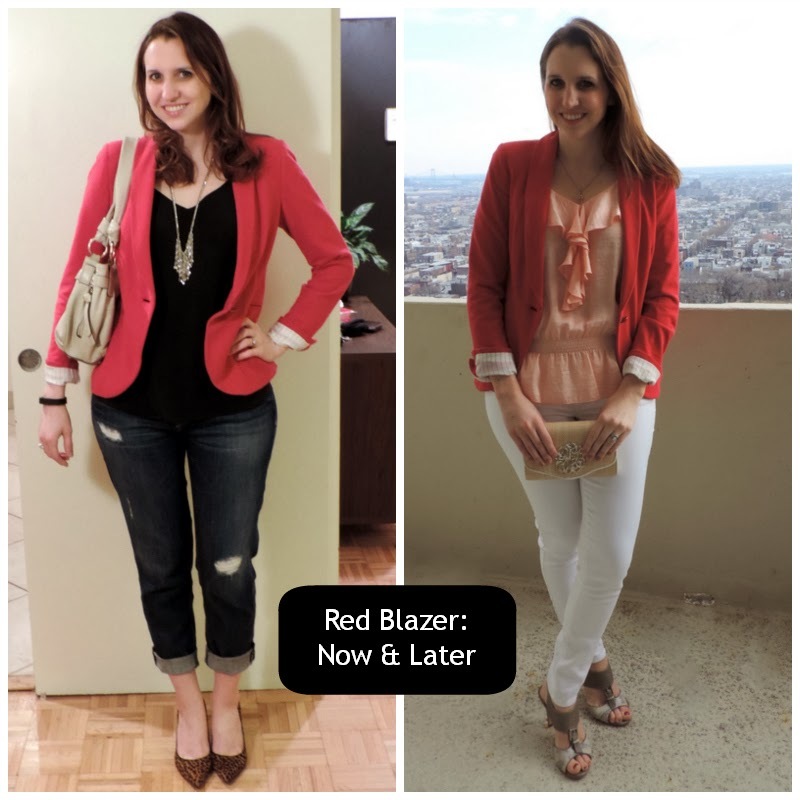 I'm linking up with Outfit Posts and styling my red blazer for now and later! I decided to pair it with my peach top and white pants for a springy look. I also styled it with my new Rebecca Minkoff sandals and a pretty wicker and patent leather bag that was a birthday gift from my parents. Also linking up with Fizz & Frosting. 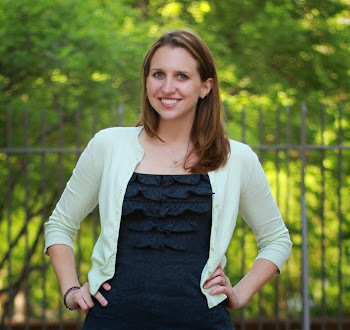 Love the blazer & your two outfit options! I really need to invest in a fun blazer! Happy six month anniversary! I just LOVE this red blazer! It's such a fun piece!